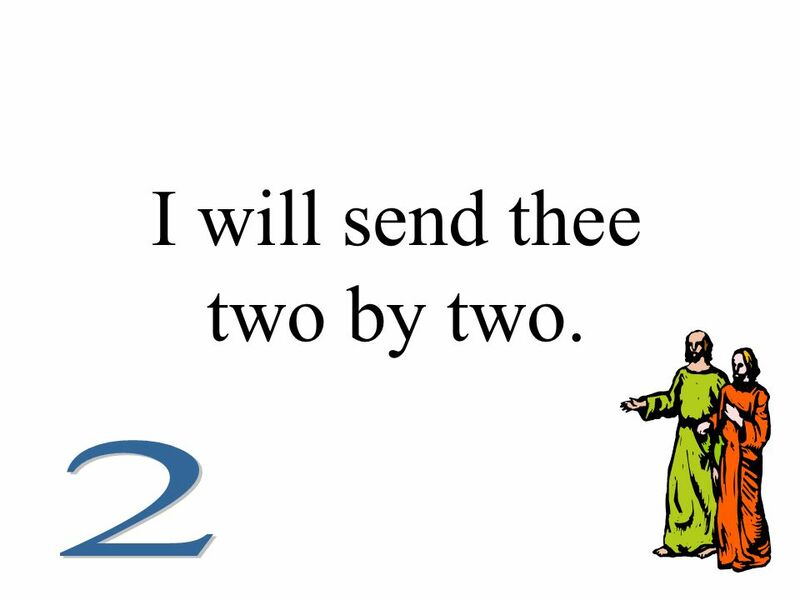 2 Children, go where I send thee; How shall I send thee? 3 I will send thee one by one. 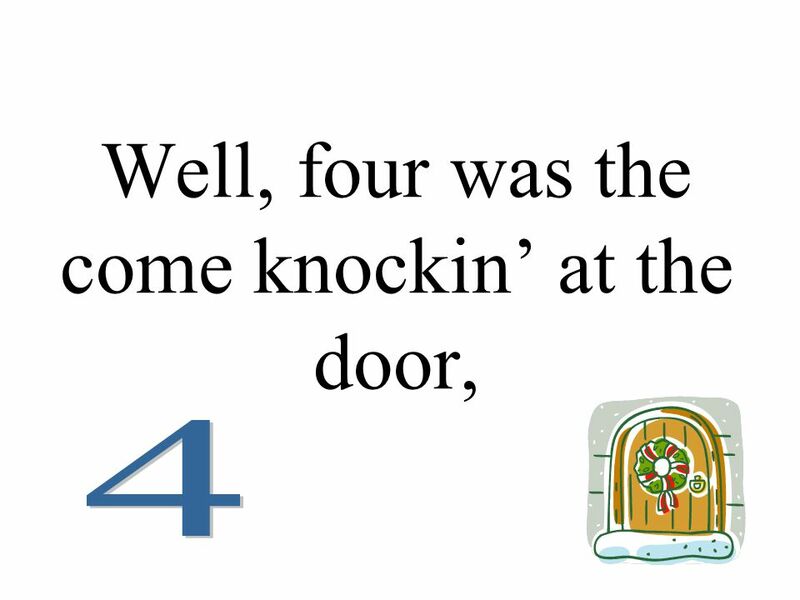 4 Well, one was the little bitty baby, wrapped in swaddling clothing, lying . in a manger. 5 Born, born, oh, born in Bethlehem. 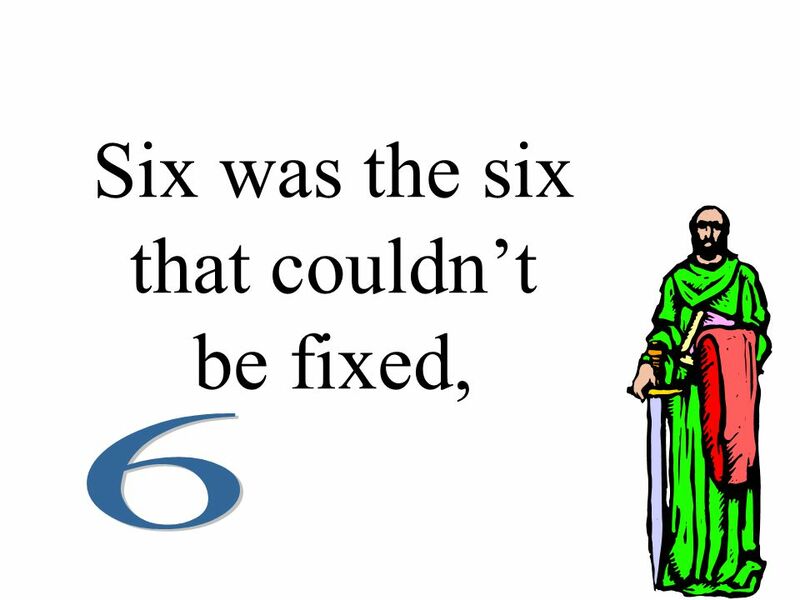 6 Children, go where I send thee; How shall I send thee? 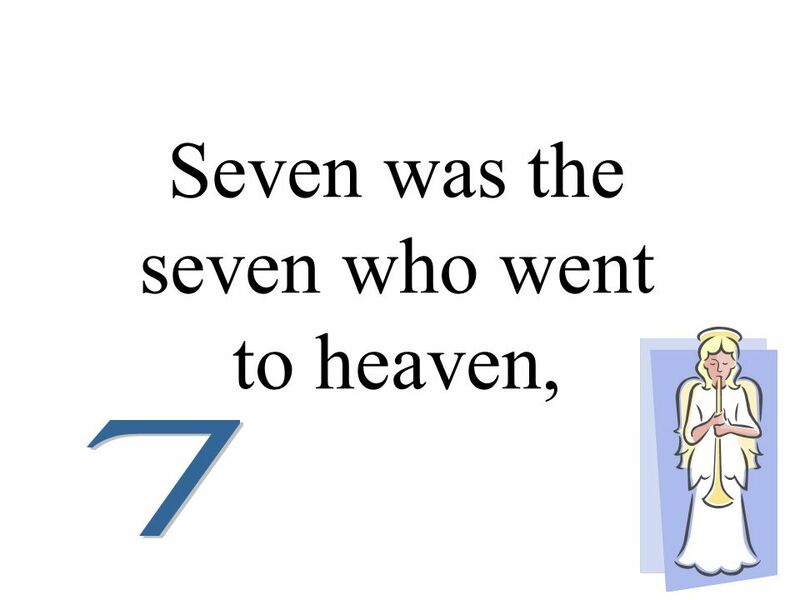 7 I will send thee two by two. 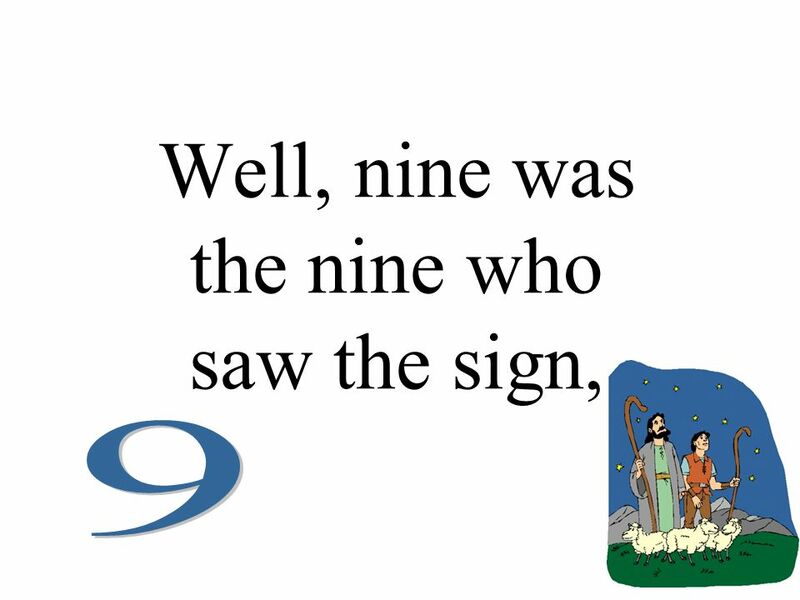 9 One was the little bitty baby, wrapped in swaddling clothing, lying in a manger. 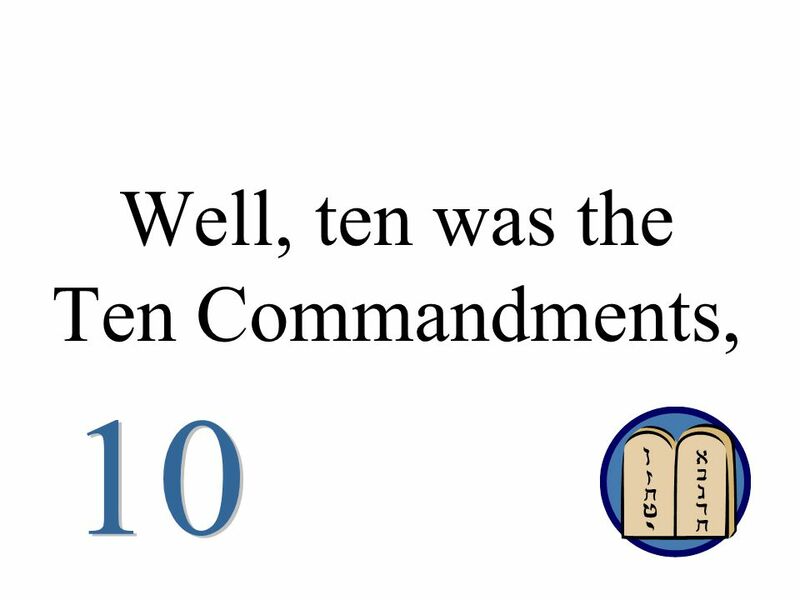 10 Born, born, oh, born in Bethlehem. 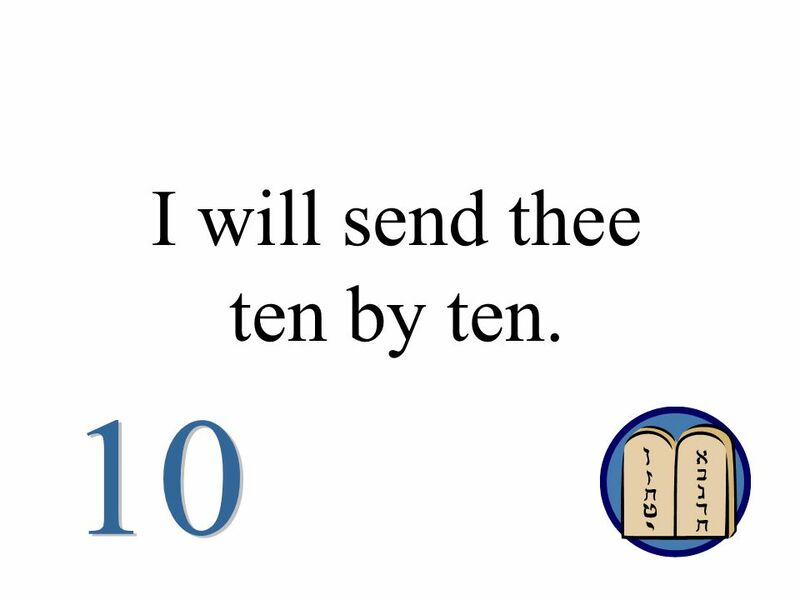 11 Children, go where I send thee; How shall I send thee? 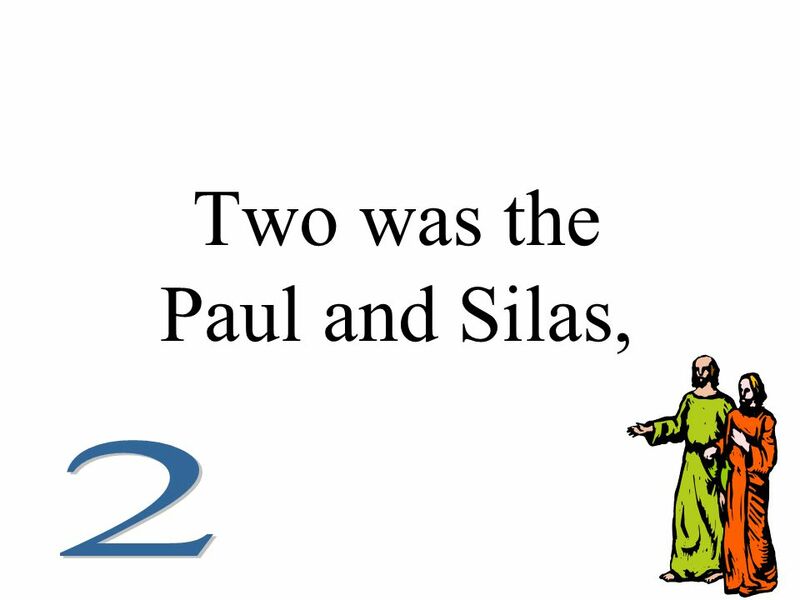 12 I will send thee three by three. 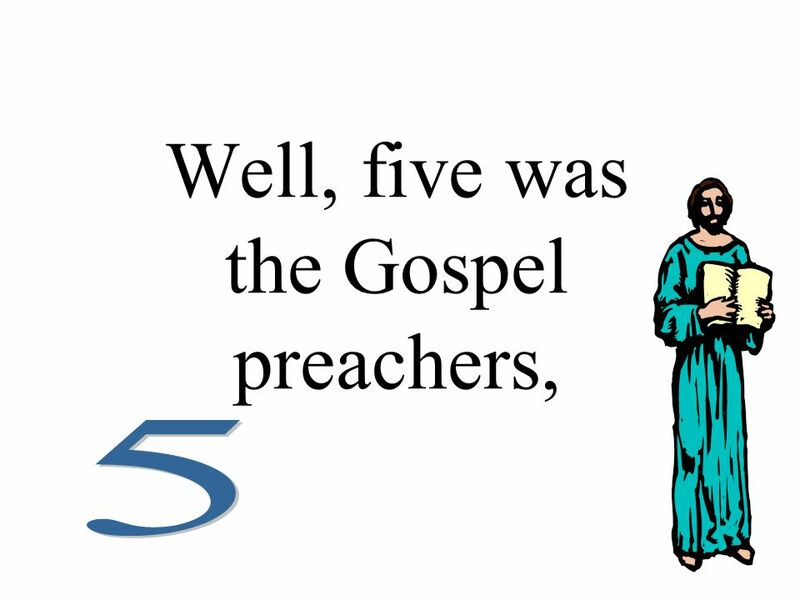 15 One was the little bitty baby, wrapped in swaddling clothing, lying in a manger. 16 Born, born, oh, born in Bethlehem. 17 Children, go where I send thee; How shall I send thee? 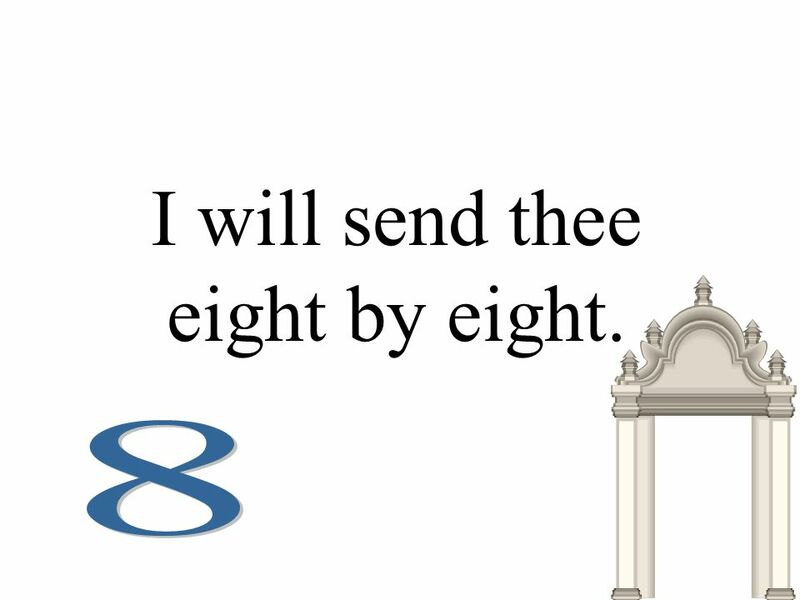 18 I will send thee four by four. 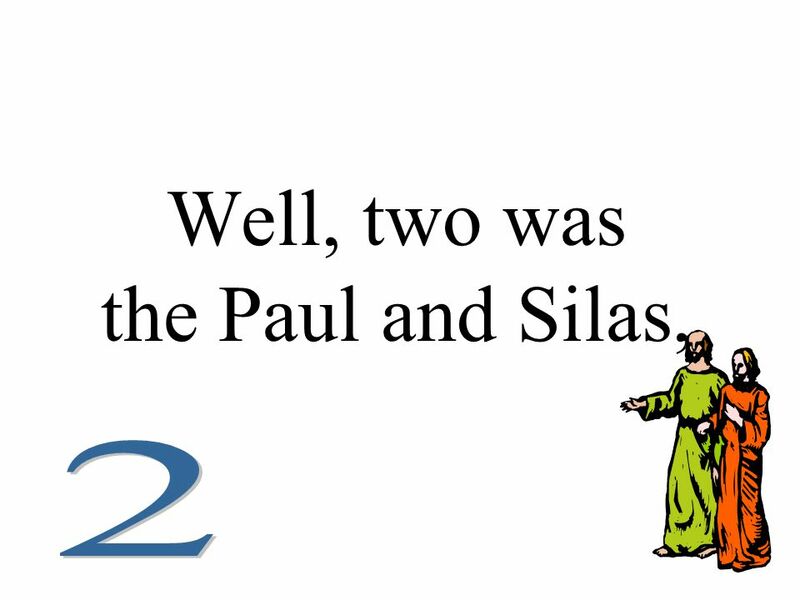 22 One was the little bitty baby, wrapped in swaddling clothing, lying in a manger. 23 Born, born, oh, born in Bethlehem. 24 Children, go where I send thee; How shall I send thee? 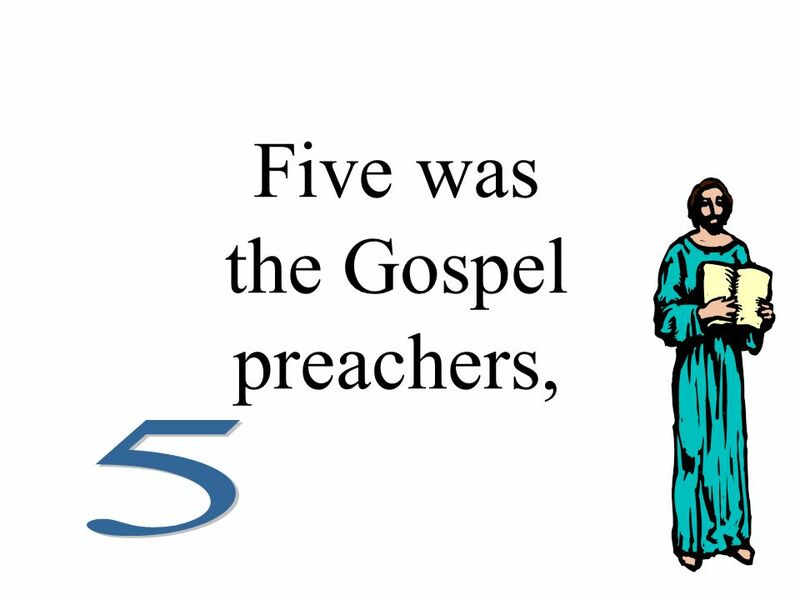 25 I will send thee five by five. 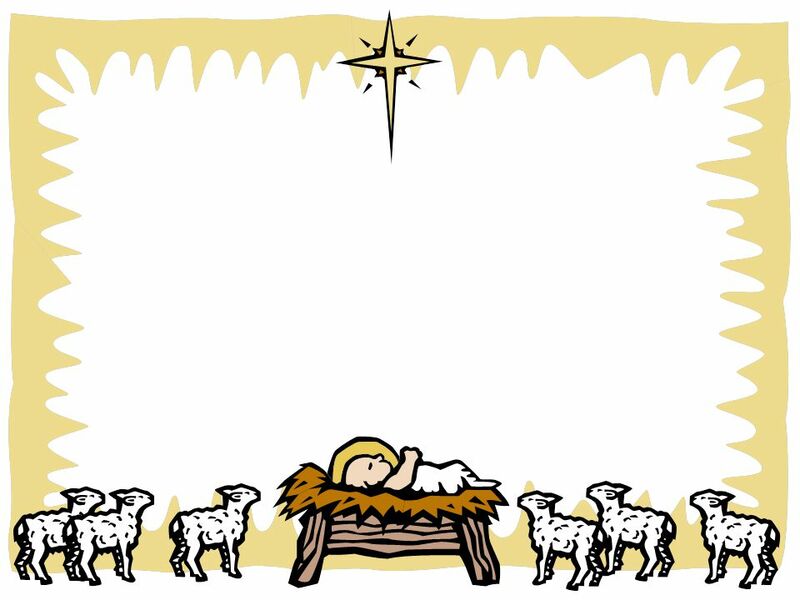 30 One was the little bitty baby, wrapped in swaddling clothing, lying in a manger. 31 Born, born, oh, born in Bethlehem. 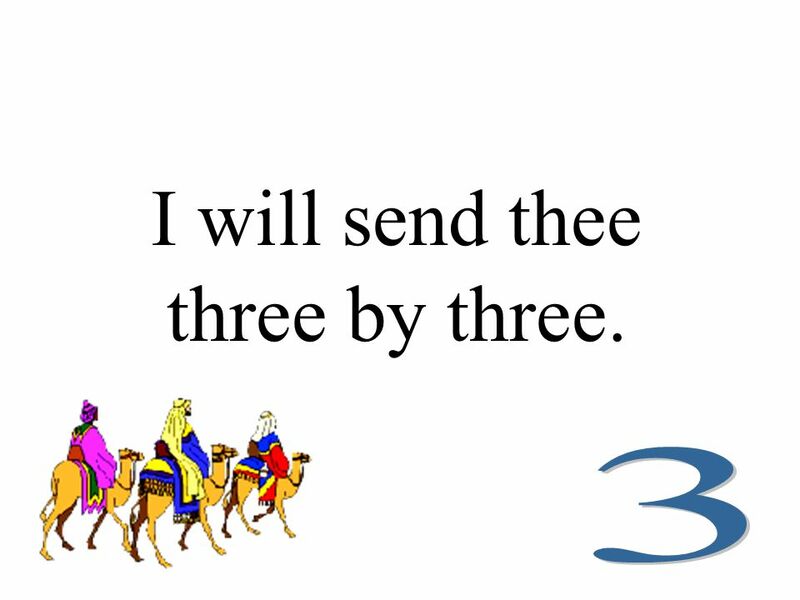 32 Children, go where I send thee; How shall I send thee? 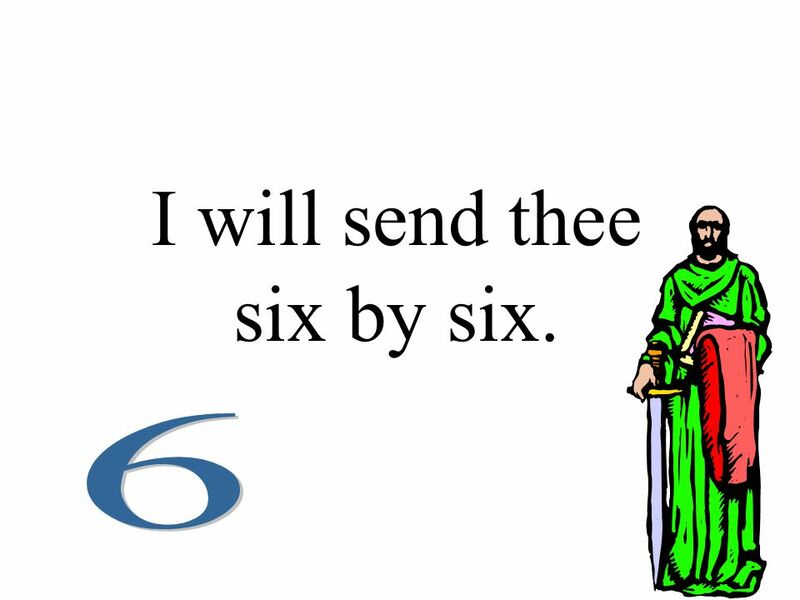 33 I will send thee six by six. 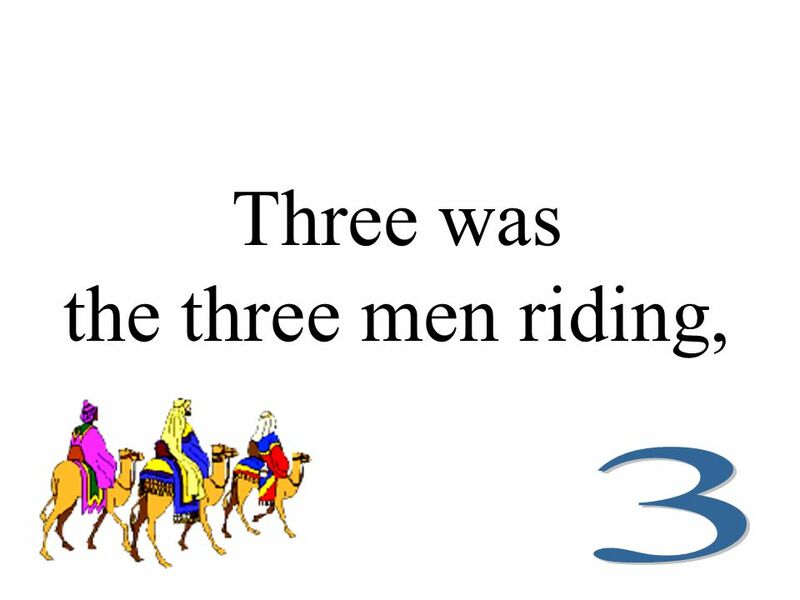 39 One was the little bitty baby, wrapped in swaddling clothing, lying in a manger. 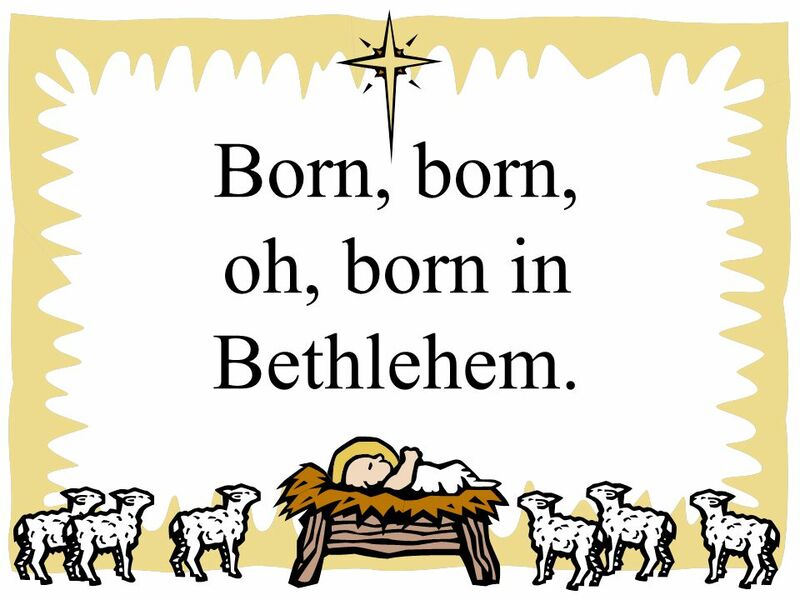 40 Born, born, oh, born in Bethlehem. 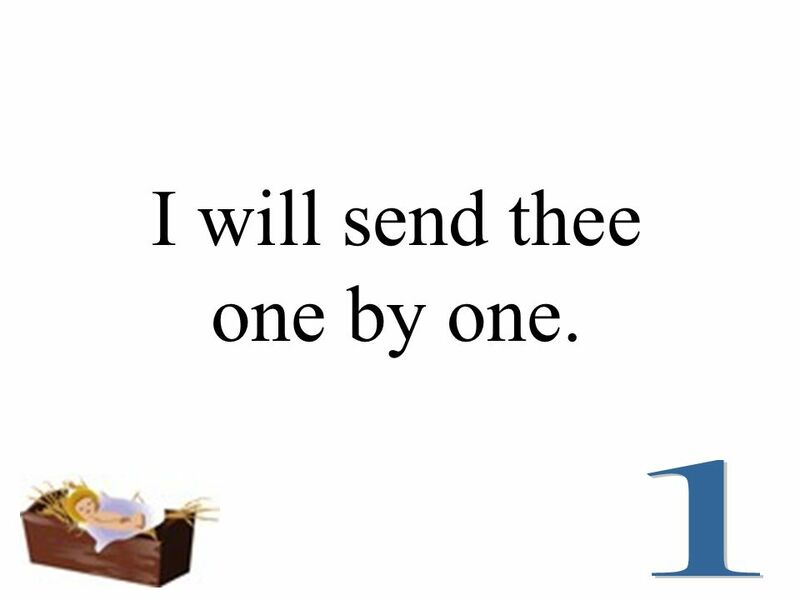 41 Children, go where I send thee; How shall I send thee? 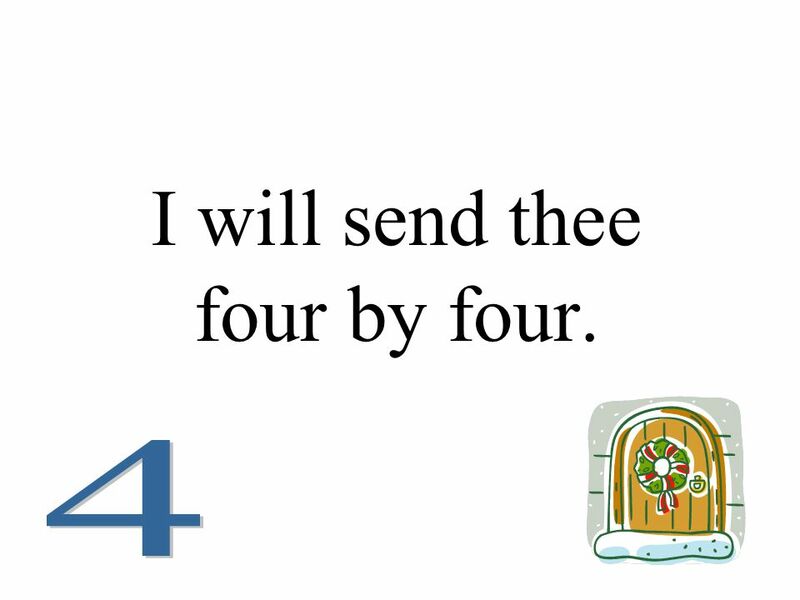 42 I will send thee seven by seven. 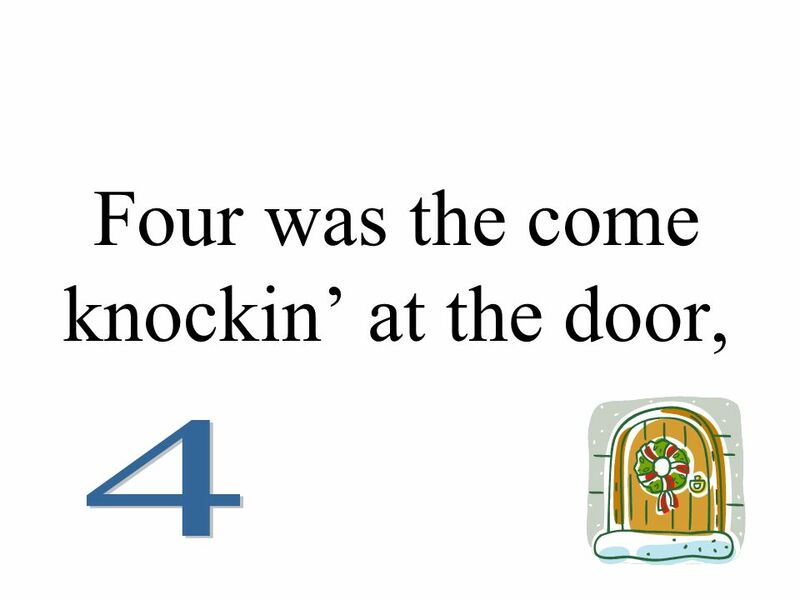 49 One was the little bitty baby, wrapped in swaddling clothing, lying in a manger. 50 Born, born, oh, born in Bethlehem. 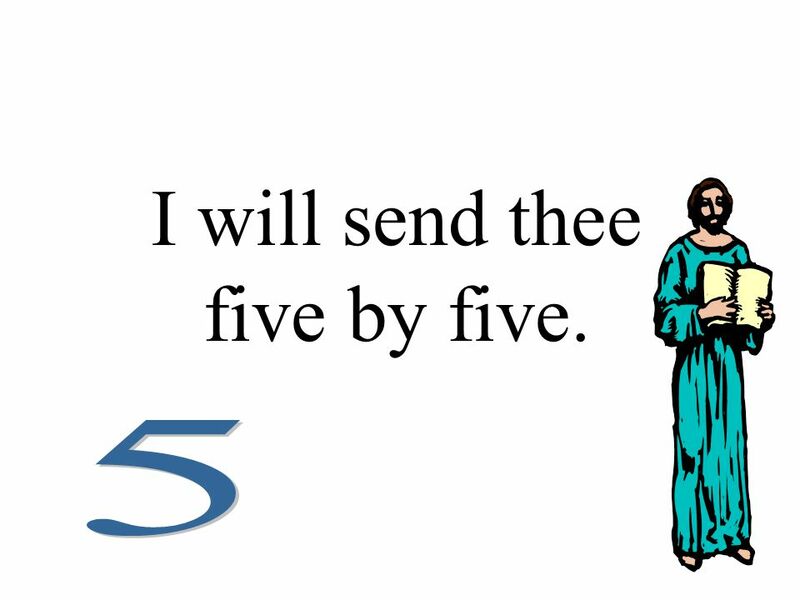 51 Children, go where I send thee; How shall I send thee? 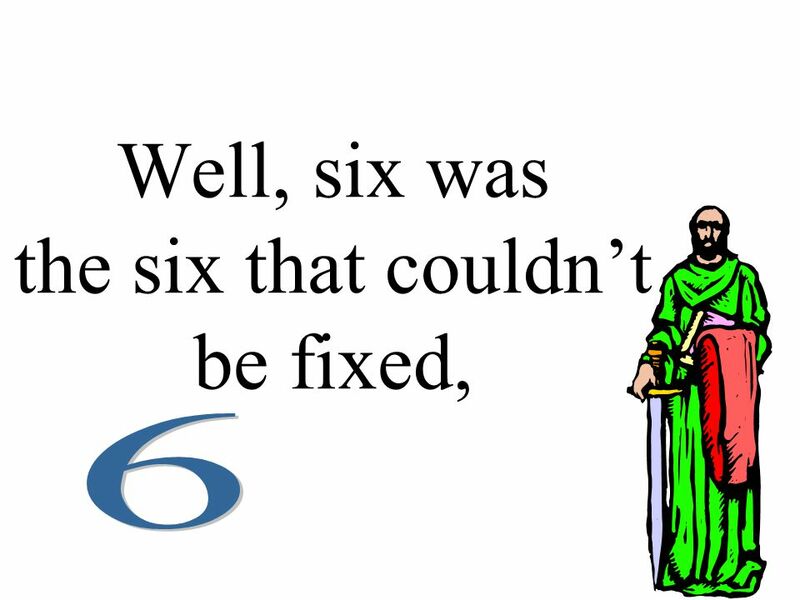 52 I will send thee eight by eight. 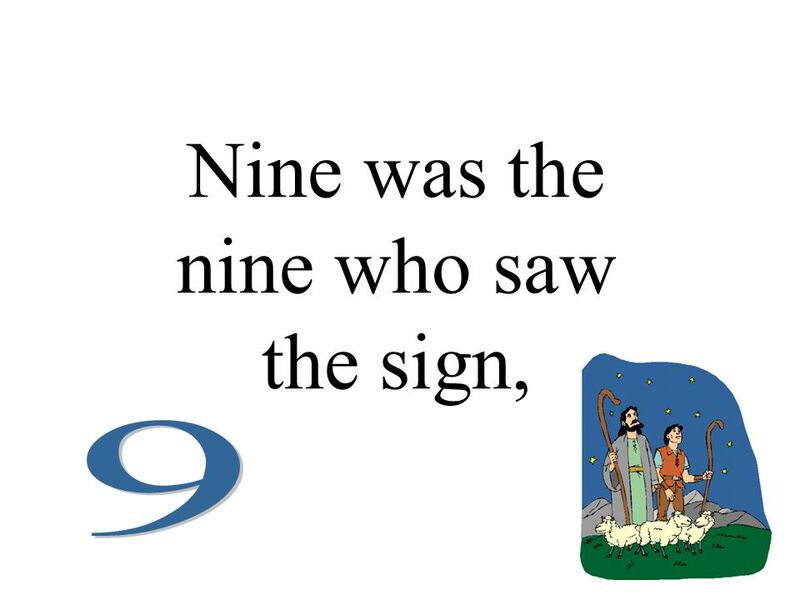 60 One was the little bitty baby, wrapped in swaddling clothing, lying in a manger. 61 Born, born, oh, born in Bethlehem. 62 Children, go where I send thee; How shall I send thee? 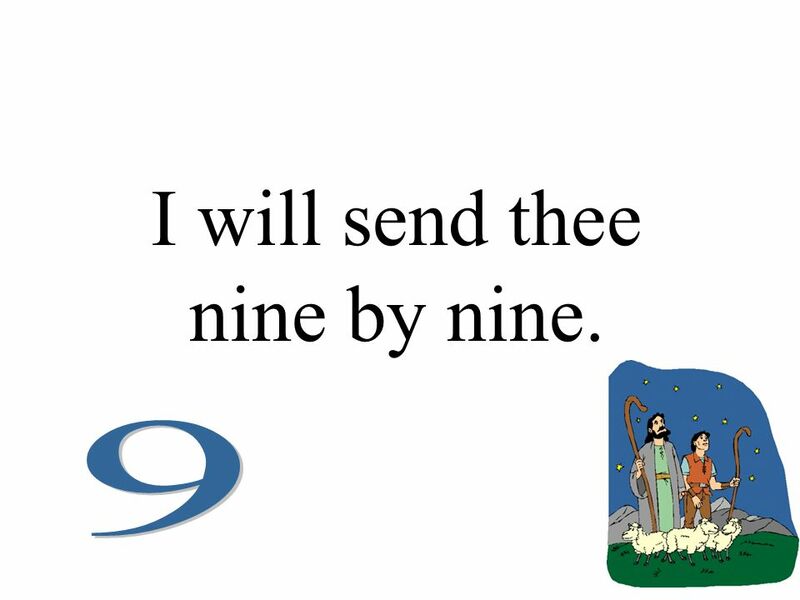 63 I will send thee nine by nine. 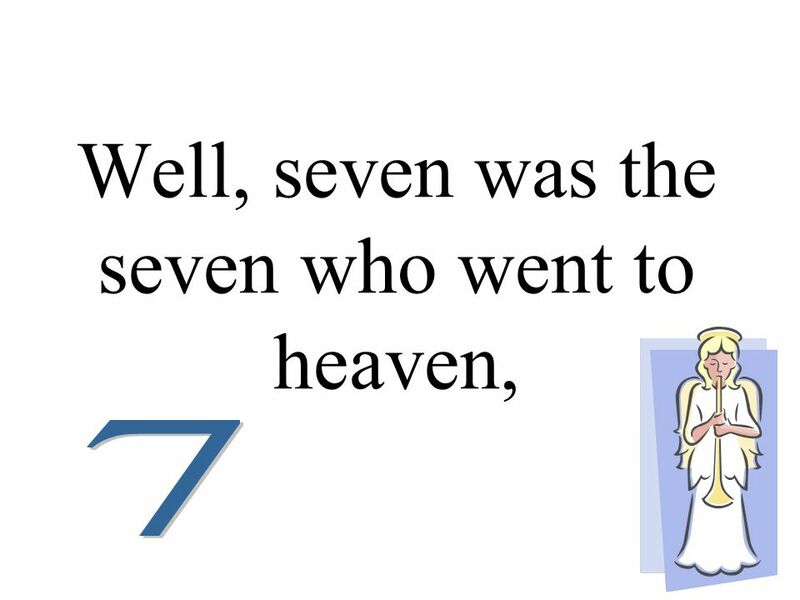 72 One was the little bitty baby, wrapped in swaddling clothing, lying in a manger. 73 Born, born, oh, born in Bethlehem. 74 Children, go where I send thee; How shall I send thee? 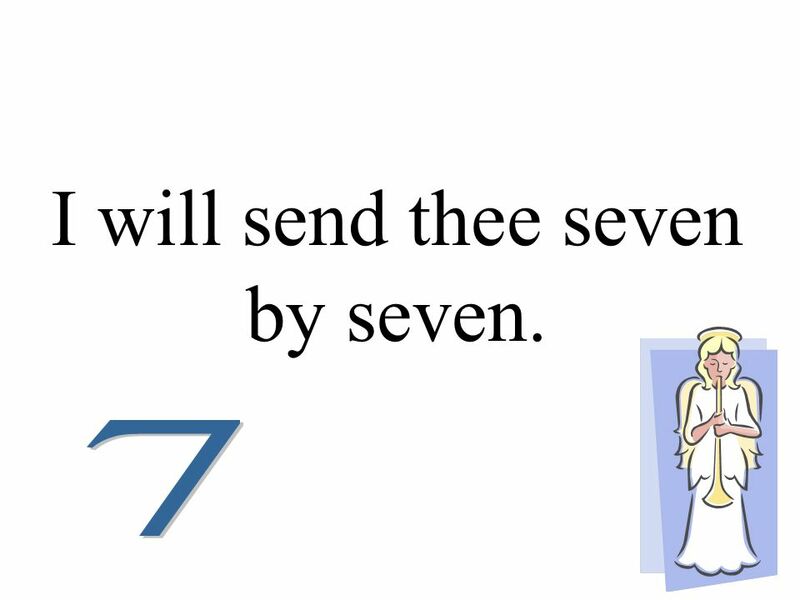 75 I will send thee ten by ten. 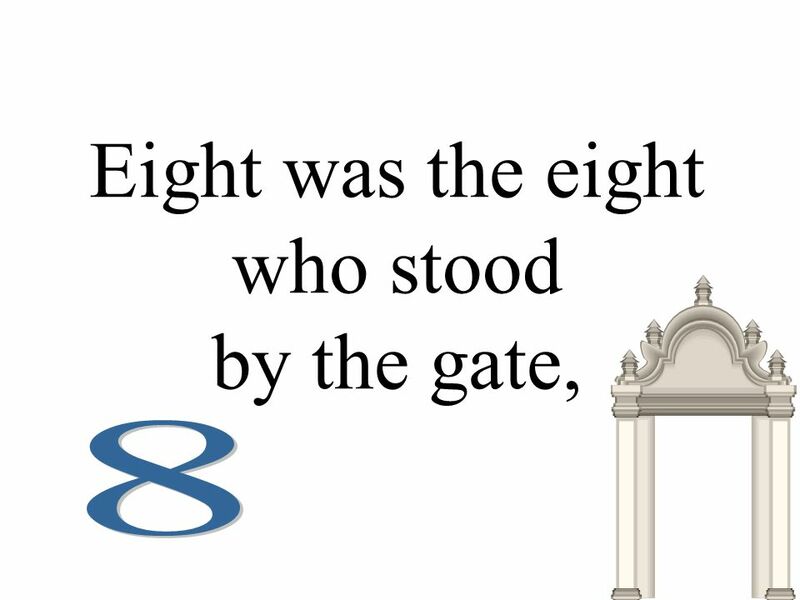 85 One was the little bitty baby, wrapped in swaddling clothing, lying in a manger. 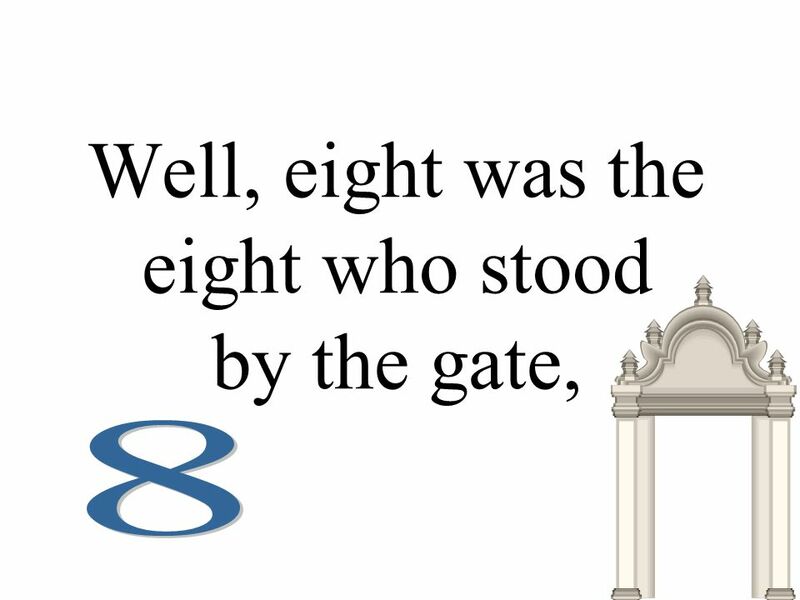 86 Born, born, oh, born in Bethlehem. 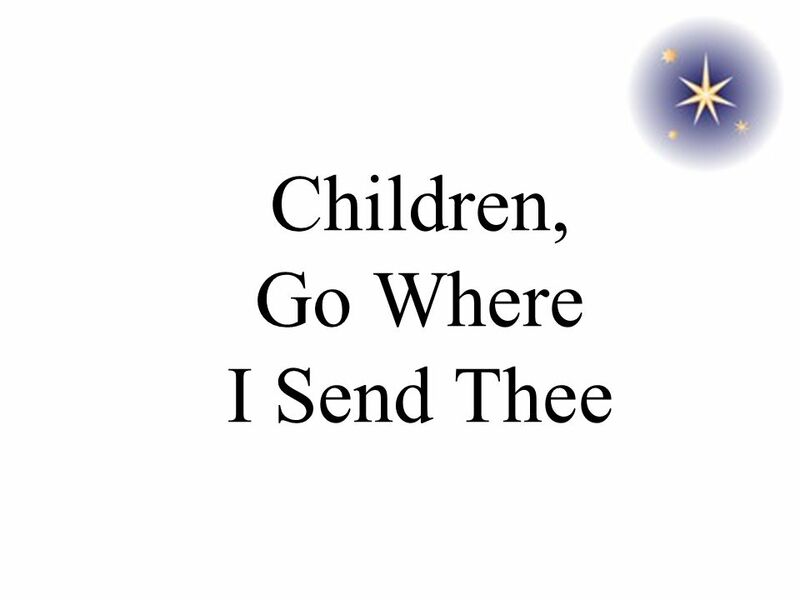 Download ppt "Children, Go Where I Send Thee"
What time is it Now?. TIME PAST O’CLOCK TO HALF TO HALF O’CLOCK PAST. Chapter Nine Communications and Networks. Objective ONE Discuss the components required for successful communications. Telling Time Telling Time by the Hour © Richard A Medeiros 2006 next Quiz. This Old Man This old man, he played one, He played nick-nack on my thumb; With a nick-nack paddy whack, give a dog a bone, This old man came rolling. WHAT TIME IS IT, PLEASE?. 56 th AGM * “Future Vision.....Forward Movement” Your Name Here Your Title Here Your Company Here Add speech title. Connecting with Members How many people does it take to make a difference? How many members are there in this family? Who are they? There are four members in this family. They are daddy and mummy, and their two children, a son. CHILDREN, GO WHERE I SEND THEE!. Children, go where I send thee How shall I send thee? I'm gonna send thee one by one: One for the little bitty baby. Place value Units Tens Hundreds.